Gaining weight as we age is not necessarily a bad thing, and a bit of it “might be helpful”. However, gaining too much or losing too much for that matter, are both things of concern. But an expanding waistline is the key danger signal that indicates that some nutritional habit change in three items — food choice, portions consumed, and how we eat — is advisable. Corset waist training, or even casual but somewhat regular or periodic wear of a well-fitting, comfy custom corset, can help us maintain good posture, control the quantity of food we can comfortably consume and eventually change our portion preferences and diminish or even disappear, hunger (one of the two main causes of failure of diets; the other is stress). We love to coach students for three months in our program of support. 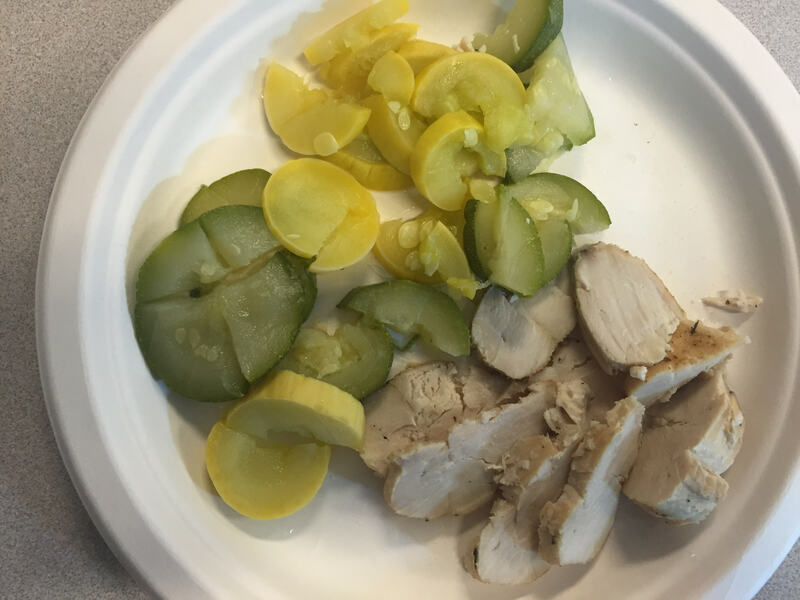 Nothing is off limits, options are opened up as to better food choices, some insight work is available, and long-term email/phone support is happily offered after the program is complete. Starting in January, I have been coaching one of my BFFs and she doing the same for me. We check in every two to four days, have set concrete three-month goals (some related to physical health/strength, some related to food, and even some related to improving our personal relationships). The regular contact makes us accountable to each other, and keeps us in touch with a good friend whose opinion and support we have valued for over 25 years. It’s a win-win situation and after two months, we each note that we are developing a healthier routine, and looking forward to our brief email chats. Do you need a formal coach as Romantasy offers? Not really — as shown above. But you do need accurate, fact-based, and detailed information on bodily functions, minimum qualities for a comfy custom training corset, specific exercises that boost your progress, and many other items (reviewed by professionals in each field), then it’s likely contained in my Corset Waist Training primer book. The book is in pdf format and available online (published Dec. 2016) and we think it can help. We’re always happy to entertain questions via email as well. My partner and I have been in the process of downsizing and simplifying our life, which is a very complex, detailed and difficult process indeed! I do hope “simple” and easy is at the end. In other words, each small packet contains SIX different kinds of sugar — and to make matters worse, honey is the fourth item in the list! I ask you now, why does honey of “Honey Sauce” need MORE sugar, and even MORE AND MORE, not to mention color, water and flavors added of any kind to plain old honey? Plain and simple organic honey is just delicious (local is the best for tamping down blossom allergies) and it’s a white sugar substitute that I can live with in moderate quantities, just as I can live with chopped or mashed dates or bananas used to sweeten, or Truvia or Stevia to cook with. I’m now going to toss these packets where they belong — O>U>T!!! Our recent Sf Examiner newspaper just had a column by Drs. Oz and Roizen that pointed to research that “now shows” that high-fat sugar-packed diets create similar impulses as does marijuana, by stimulating our body’s endocannabinoid system to make us very hungry! Not a good thing if you are on a corset waist-training process. 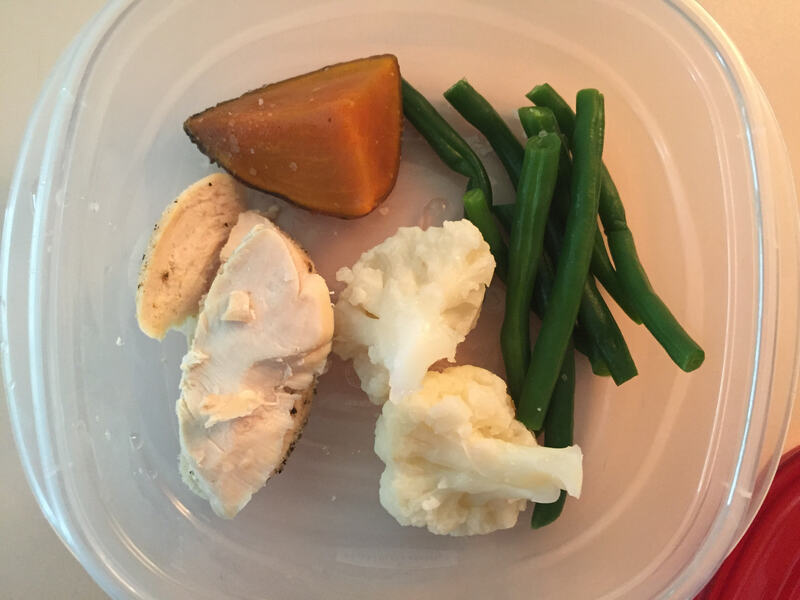 You want to minimize your hunger p0angs in every way possible to make your journey comfy, easy and effective in the long run. Now I know one reason how they say that eating sugar makes you want to eat even more sugar. The easiest way to control your sugar intake is to avoid sugar to begin with. That may take a little time (a few weeks or months) and effort (perhaps some headaches or nausea in the early stages) but going Cold Turkey makes more sense to me personally, and it is what I advise my waist-training students to do for three short months of their adventure. Ms. K, my present student who is just completing her second week of training, opines that this request regarding diminishing if not omitting white added sugar, is part of the “extremity” of waist training and what I request. Note that I do not ‘require’ anything of my students; I might stress heavily facts that I know are sound from my own experience , from 27 years in the corset business, and from 16 yrs in the coaching business in figure shaping. But the choice is hers to make. Just because life is complex and there are many motivators, many temptations, and many components to cause or address obesity or over weight, those things do not obviate the fact that we also have choices to make. Some choices are way better to honor our body and tend to improve our health over the long run. Which choices will you make? The first boy doll ‘Logan’, was released by “American Doll”–(and it’s only 2017, just about 60 yrs. since the advent of the Women’s Liberation movement, of which I, and many good men of course, was a proud early member.) Parents and children of both genders are apparently pleased. 88% of people age 19 to 24 admit to driving while texting, or running a red light. Flynn was fired from Trump’s cabinet for lying to Trump (not to mention to the public) about discussing with the Russian ambassador, and diminishing the potential effect after Jan. 20, of Obama’s earlier sanctions against Russia for hacking our election process. Spicer in his news conference re: Flynn, said (in relevant part), “there’s no information that would conclude me that anyone was in contact with Russia before the transition period”. Anyone notice the wrong words that news reporters are more commonly using than in the past? Is the teaching of correct grammar and the English language now defunct in US schools? “Eat less, move more” is once again in the news, with a “new study” showing that belly fat and the apple shape are associated with increased risk of high cholesterol, diabetes and more. Too simplistic, right? And ubiquitous public health information of the sort proposing this solution to obesity doesn’t seem to be helping. There are multiple reasons that I eschew pop news for weeks on end and from time to time, refusing to watch anything but PBS’s evening news program and the Financial News, plus CSPAN when a meaty program on the US or world affairs is being presented. Of course I love my Sunday New York Times, where I often find substantial articles on health and nutrition, topics directly relevant to my professional focus on corset waist training. News is dismally appalling and negative these days. I have a good friend who won’t watch the TV or read hardcopy news at all, except for an occasional peek at Facebook news. Pop or entertainment news is pitifully brief and all over the place, like the above. It routinely upsets me. It leads me down multiple paths of diversion and distraction. These days I fire off letters to my Senators or the White House to avoid doing nothing but fuming. 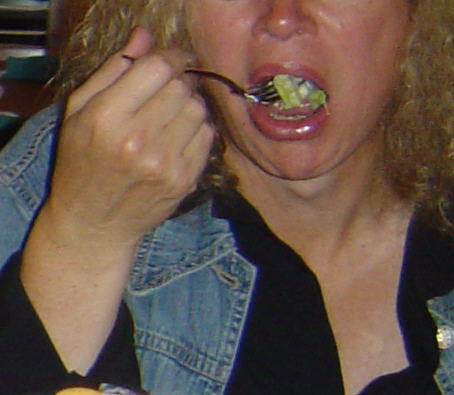 Some claim that pop news or any news or programs lead me to eat more (and usually forget my manners) when I dine in front of the TV and not at my table. Of course, I imagine pop news leads me to be sort of “up to date” when I’m not an avid fan of social media but only an occasional user. I like my privacy and prefer my friends face-to-face and where I can delve more into meaningful, detailed conversations such as on personal email compared to 140-character tweets. I learned recently about a beneficial effect of diversion and distraction. Dr. Patrick Wall, the author of highly-recommended Pain: The Science of Suffering, taught me that distraction can be a powerful pain-killer. We have to focus on pain in order to feel it. We have to pay attention to injury, to be in pain. If we are distracted, we don’t feel pain until later if at all. Witness the rush of adrenaline when we are injured or in danger, allowing us to rescue or take care of others before we turn to focus on our own discomfort or tragedy. I also learned from Painful Yarns by Lorimer Moseley, also highly recommended (watch his hilarious TED talk on YouTube) that all pain is not tissue-derived. Some or a lot of it comes from our brains firing off neurons designed to warm of “pain” in order to protect us, but that felt pain while real, is also “not real” or exaggerated. Just learning that fact helped me enormously on my daily walks to rehab a recent back spasm (another one!). When I occasionally trip or step off a curb a bit hard onto the street, I don’t now overreact and imagine that it is painful. I remain more objective, continue on and think about the situation. Did the trip really cause me tissue-oriented pain? I never has so far. The concept has proved beneficial for my recovery. My present waist training coaching program student, Ms. K (pictured at the start of her program on Feb 7, left) is having a bit of a hard time moving up in hours of corset wear a day, in the moderate training program she is following. We design a student’s program to gradually increase the no. of hours of wear from two for three days, to four for three days, to six for three days (or a similar increase, depending on several factors). A slow increase such as in this example, enhances comfort and tolerance of a new, stiff feeling of a structured garment such as the corset. When she reached four continuous hours of wear at the latter part of her first week, my student mentioned that she wore her corset two hours, then lay down for two more hours to meet her program goals that day. But once she lay down, she stared at the clock and found that time went by very slowly. I believe she increased the difficulty of waist training by paying attention to time. It is when we ignore time (except to double check to ensure we don’t over-do our set program wearing hours), that time goes by very quickly. 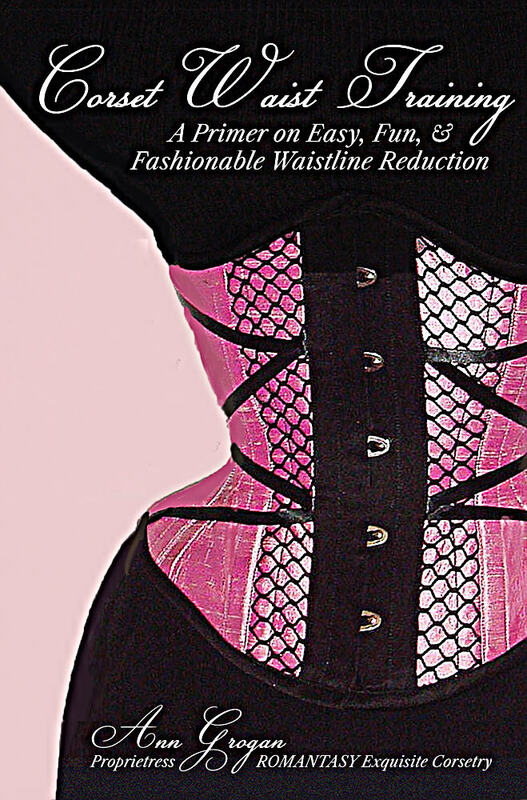 I write about distraction as a technique for making waist training easier, in my new book, Corset Waist Training: a primer on easy, fun and fashionable waistline reduction. When you build up to long hours of corset wear at tighter levels of restriction, you will surely hit the wall some day and want out of your corset. The key is not to move into pain or excruciating pain, but to be able to tolerate discomfort even to the edge of pain, so that you derive maximum benefit from the corset in your search to trim your figure and/or weight. Try the technique of distraction. Take a walk, play with your pet, call a friend, send an email, read a chapter in your book, wash dishes–almost anything will do, and then go back to normal activities. Also if you begin to experience discomfort into pain when corseting, remember Moseley’s point. Could it be that unfamiliar feelings of tight restriction, impediment to movement and breathing, folding of the skin and so on from lacing down, strike you as uncomfortable rather than just something neutral to observe and keep an eye on? Are you overreacting to a “not normal” feeling that your brain perceives as endangering your body and health? I’ve never seen the above discussed in any forum on corset waist training nor mentioned in any book on the topic. I’ll be thinking more about it to see if there are examples from my own corseting experience and that of my students, that can further enlighten me. Always happy to hear your thoughts! I had to laugh at a just-seen tv commercial for Cheerios. (I’ve written not long ago about misrepresentation implicit in advertising one of Cheerio’s recent less-sugary products which to be honest, caused me to divest my portfolio of General Mills). In this morning/s commercial, a little girl about six was shown reaching for Cheerios, with a voice-over message that she was being protected from imbibing gluten by this gluten-free product. Who says that girls age six, not to mention anyone else, is per se in need of ‘gluten free’? That is a patently ridiculous claim or message. It’s a crass example of misleading, albeit subtly so, advertising. We are all subject to the pull of advertising. No one can definitively tell how much we are influenced by commercially-based messages and messages in the popular media, including social media, but we all know it has some effect. When information is put out to the public, we consumers have to step back, remain aware, and focus on the message. Then we have to exercise our intelligence, common sense, and good judgement to see if that message is basically true (a real fact, not an ‘alternative’ fact) — and if true, does it really apply to ourselves as individuals? The same is true for corset waist training. I’m not convinced that the huge increase in public discussions about the topic on social media have done much but add more mindless verbiage to the topic, and contributed much more than the blind leading the halt. We still have to sift thru massive popular comment–often by newcomer corset wearers, even corset makers–who have little real-time experience or who think that one year of experience makes them an ‘expert’. We have to find out if what they claim is a fact (a real fact) — and even if true, does it really apply to ourselves as individuals? The past two years I’ve often commented negatively on sugar, the white, added kind (even added in moderate quantities), especially in processed foods and that we add ourselves to mount up to 152 lbs of the same each year that individual Americans eat. Stunning fact. Even so, the author of that article made it clear: the absence of evidence does not mean that the product is in actuality, healthy for us as a group or as an individual. It is the association of sugar with ill health that concerns me and that association creates a big enough risk for me, plus my own experience of giving up sugar and soon feeling better with more energy (abandoned save for a bit of honey and Truvia for sweets, plus fructose found in fruits always eaten with nuts to slow the sugar down as it enters m y bloodstream). Advertising my large food companies is particularly troublesome because of its huge public reach, gratis huge profits and similar marketing budgets. Here’s a decent article by Dr. Mercola on the case of Big Soda’s advertising with the goal of convincing us that it’s total calories despite what those calories are, that matter, and that exercise is our primary solution to keeping fit and svelte. That claim has pretty much been debunked. Dr. Mercola’s article has its limits of course. I don’t much like his use of “blame” in describing reports of sugar causing death. I haven’t seen any evidence of direct causation and no court cases that proclaim that fact. If you know of any please let me know; I would like to examine the underlying facts and research leading to that linkage. There simply is no single answer to fitness and certainly nothing applies to everyone. Likewise, be cautious in sussing out facts regarding how you should go about attending to your health, and also to your corset waist training if you seek to modify your figure and/or weight. I’m here to discuss the source of Romantasy’s information, and my new Primer book takes pains to state the facts or research or source on which I base my recommendations.